Questions about what it’s like to work In-store? Take a look at our FAQs first. What does a typical day in your role look like? Yes we do offer them, as long as you are under 18 and above the age of 13. Our work experience placements are organised instore directly. I would suggest either giving your local store a call or popping in to speak to someone about it. Does M&S offer any Head Office work experience or internships to mature Finance students and if so who do I contact? Hi, do you offer any work experience in the HR department? I am in my final year of uni & would like to get experience. Does M&S do work experience for year 10 students? Are there any work experience placements available, how do I find out about them? I'm a year 10 student. Marks and Spencer is a major British multinational retailer headquartered in the City of Westminster, London. It specialises in the selling of clothing, home products and luxury food products. 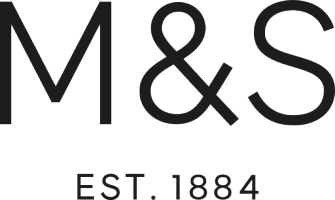 M&S was founded in 1884 by Michael Marks and Thomas Spencer in Leeds. Hello, can you help me find some weekend job in M&S? Hello yes, I'm looking for weekend work in Ealing, Kew Retail Centre and anywhere in West London. I have some experience as sale assistant in Boots and M&S. By the way, I'm a graphic designer. I did some packaging work for M&S. I am 50 and would like to do a returner apprenticeship with M&S are there any opportunities? Thanks, I will keep checking. I am currently doing voluntary retail while an opportunity comes along locally. Hello! Could you give me some application advice on how join M&S? Hello, I am very interested in working in the food sector with M&S. What should I do? Hello Fausto. Thank you for your query. So you are interested in working in the food sector.. Can you specify? We have different roles in the food sector such as food hall customer assistants, Section Managers, we have cafe roles. What sort of role interests you? Hi Matt! Thanks for the advice. I have my application on hold for Part-time and they told me to come back when there's an opening in Bath. I cleared the interview stage and the HR really liked me in the in-store assessment. Great! I will check again. What is the best route for someone who has worked in retail within M&S to then move into software development? Hi Paul, Thanks so much for your response. Are there any particular programming languages that would advantageous to learn at this stage? I appreciate that you're not offering any secondments at present, have you previously had trainee/junior posts within Software Engineering? Does M&S have any junior developer roles? Yes it will be great to catch up with you to find out more details about software engineering opportunities at Marks and talk more about technology at Marks in general. I could do this once i have finished my course end of april. Hi. I've seen you are looking for temporary staff, does this ever lead to permanent employment? Just managed to obtain a temp role . Received contract stays only till mid May could this be extended if my work is good ? Hi, what do you look for on a CV for a Food Buying role/what experience is best? Thank you! I will email them now. For the Food Buying role what experience would you look for on a CV? Hello, I haven't received any feedback on my application yet, is there anything else I can do? It must have been over 2 weeks ago. At the end of the test, my result said it's very possible to get a call back for interview but it didn't happen. I have been volunteering in farms and working in warehouses but I would like to work as a supermarket assistant. Hi Dalma, thanks for getting in touch! When did you complete the application test? Functional cookies	 These cookies are used to provide a consistent experience by remembering settings, sessions and already-viewed content, and feature interactions, allowing PathMotion to customise the user experience and provide data, insights and trends to Marks & Spencer.